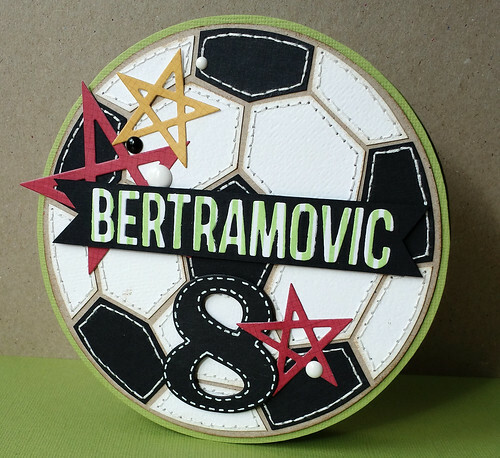 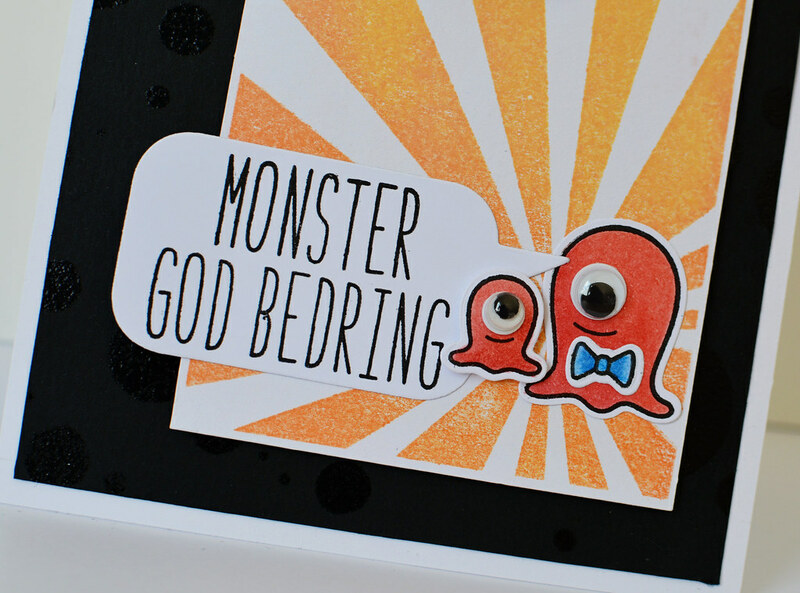 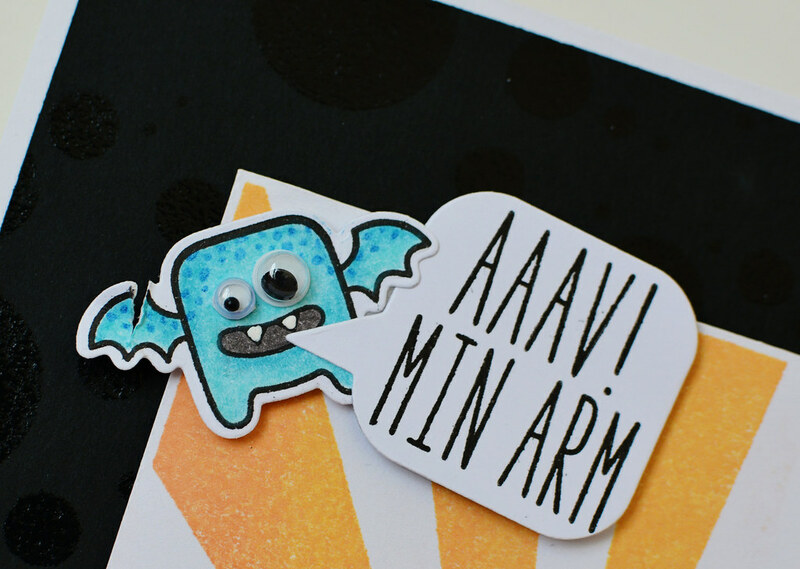 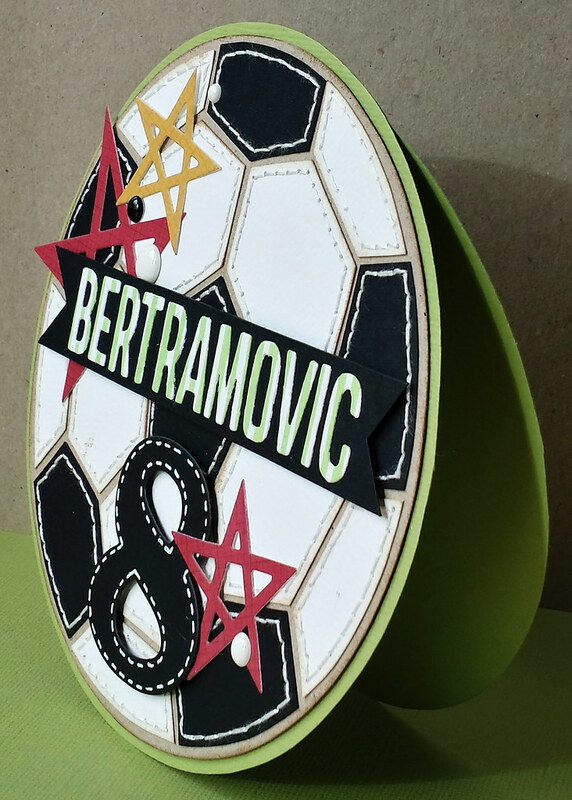 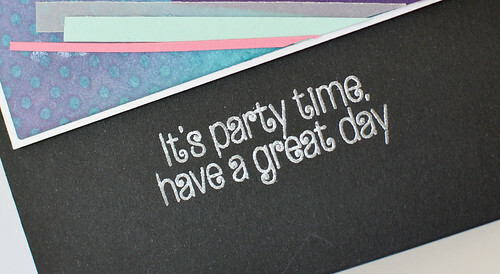 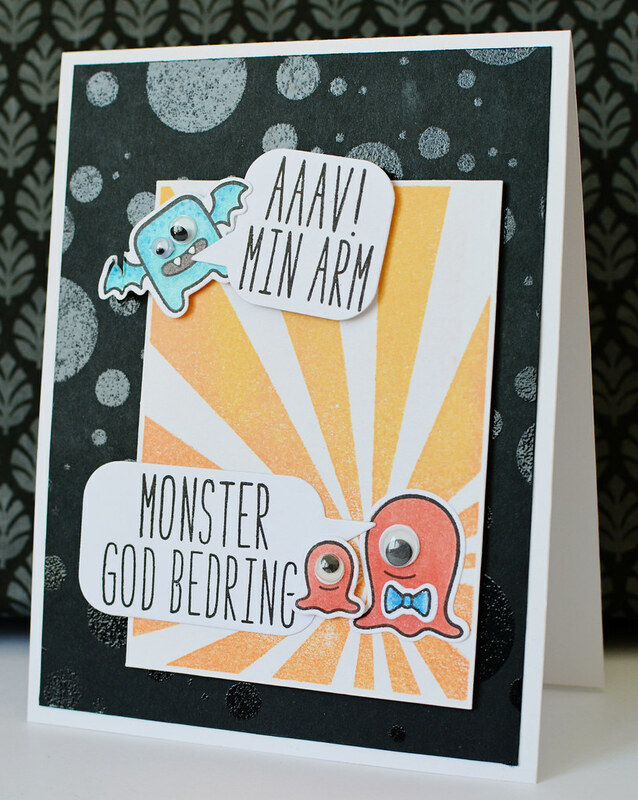 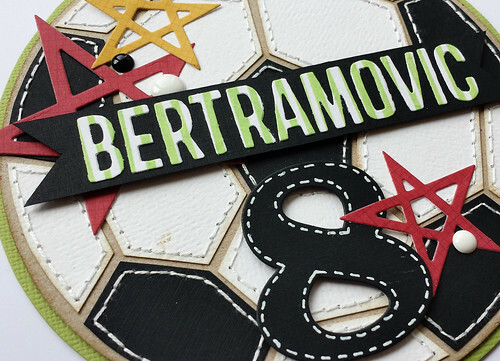 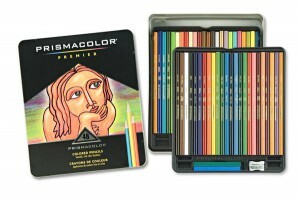 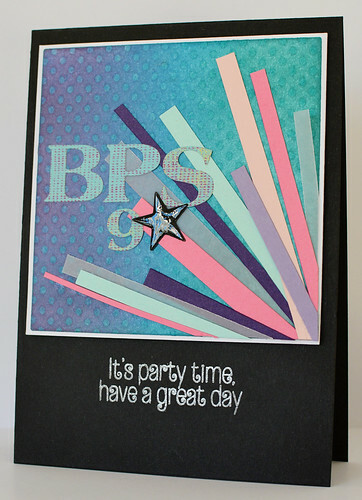 And with that another year has passed and it is time for me to send a card out to Bertram for his first day of school! It is the third time I am doing this which is a little hard to believe actually: 1. year and 2. year can be seen by following the links. 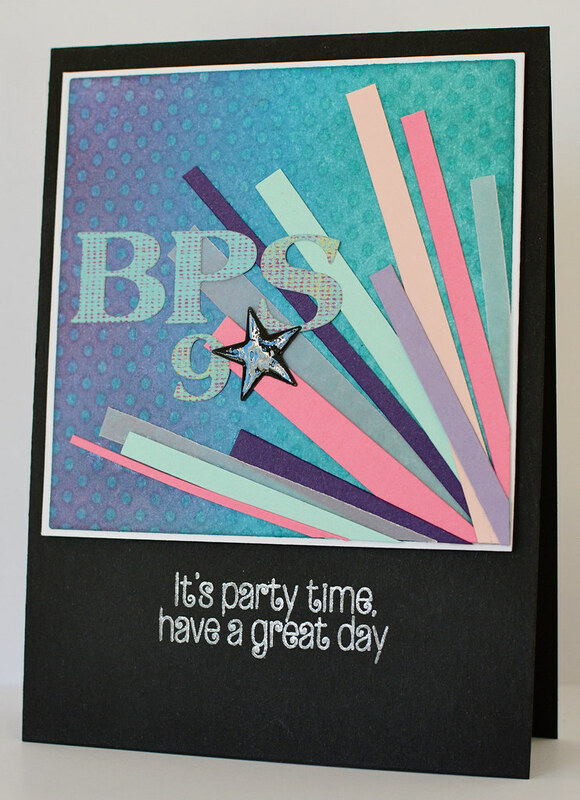 This time around I made the card using a technique from Online Card Classes’ Background Check: I made my own stencil using dies. 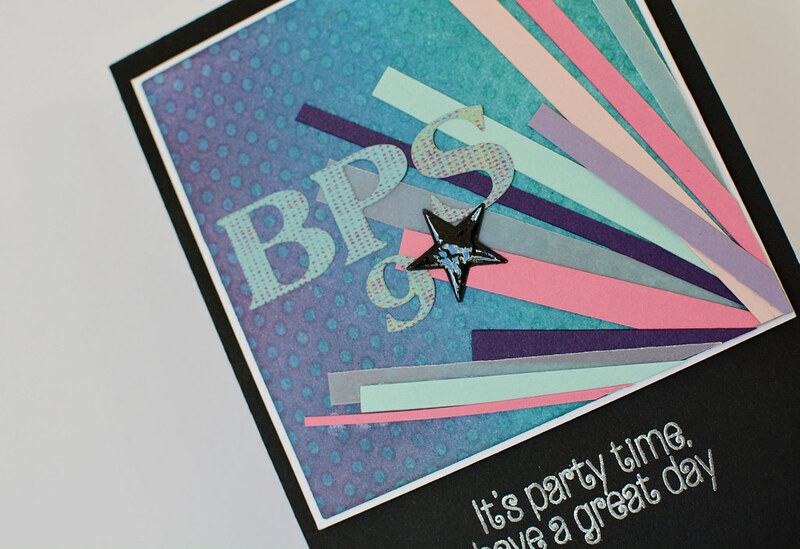 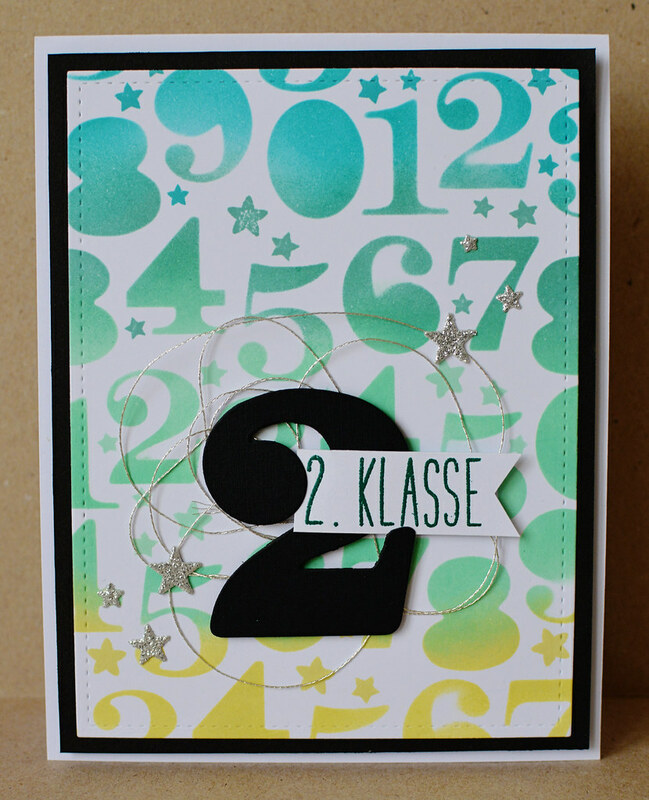 Since I was aiming for a school themed card I chose a Papertrey Ink border die with numbers. 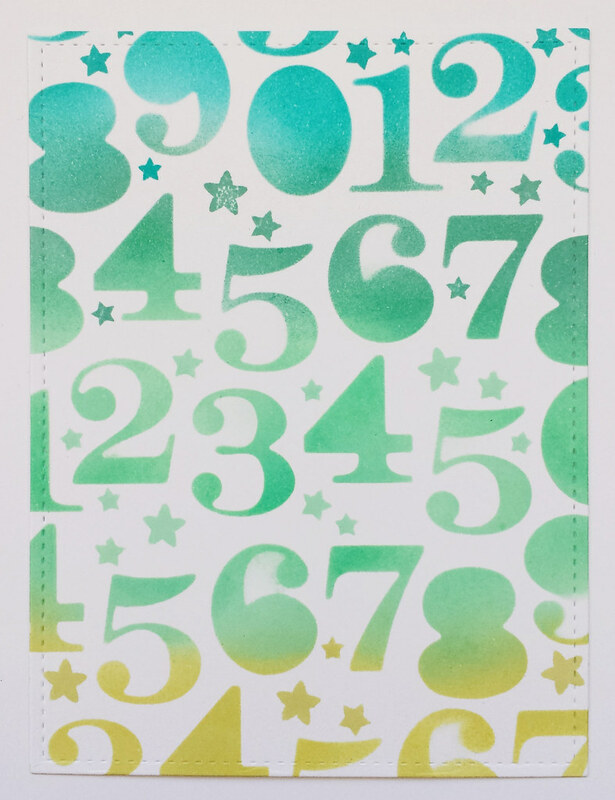 I used four different colours of Distress Inks to colour through the stencil, and afterwards I stamped small stars in the same four colours in the spaces between the numbers. As far as embellishments and sentiments go, I chose a large number 2 and combined it with a banner on which I stamped 2. klasse (2nd grade). I mounted the large 2 on foam adhesive and added some silver thread beneath it. As a final touch I added some silver glittery stars around the embellishment cluster. 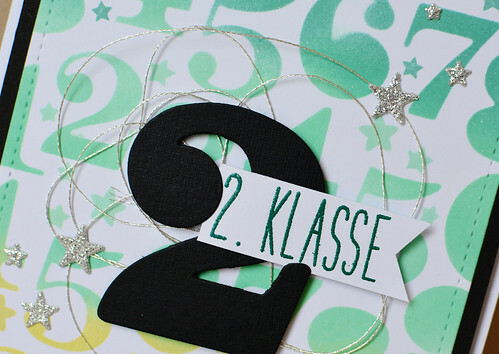 Håber 1. skoledag i 2. klasse gik godt, Bertram! 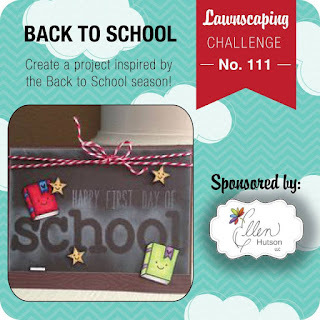 I’ve added this card to Lawnscaping’s Back to School challenge.